Legal Brief: Overwhelmed with Fiduciary Duties? https://cdn.askthelawyers.com/wp-content/uploads/2019/04/23142613/legal-brief-overwhelmed-with-fid.jpg 720 1280 Charles Triay https://www.askthelawyers.com/wp-content/uploads/2018/05/Asset-2-300x40.png Charles Triay2019-04-23 14:25:372019-04-23 14:26:10Legal Brief: Overwhelmed with Fiduciary Duties? 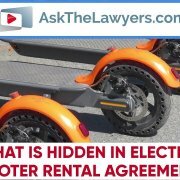 https://cdn.askthelawyers.com/wp-content/uploads/2018/11/14141239/what-is-hidden-in-electric-scoot.jpg 720 1280 betsykgreene https://www.askthelawyers.com/wp-content/uploads/2018/05/Asset-2-300x40.png betsykgreene2018-11-14 14:11:102018-11-27 17:43:32What Is Hidden in Electric Scooter Rental Agreements? Do I Need a Will in New Jersey? https://cdn.askthelawyers.com/wp-content/uploads/2018/02/28091519/do-i-need-a-will-in-new-jersey-1.jpg 720 1280 AskTheLawyers™ https://www.askthelawyers.com/wp-content/uploads/2018/05/Asset-2-300x40.png AskTheLawyers™2018-02-20 12:35:242018-02-20 12:39:57Do I Need a Will in New Jersey? Do You Need a Will in New Jersey? https://cdn.askthelawyers.com/wp-content/uploads/2018/01/28091853/do-you-need-a-will-in-new-jersey.jpg 720 1280 AskTheLawyers™ https://www.askthelawyers.com/wp-content/uploads/2018/05/Asset-2-300x40.png AskTheLawyers™2018-01-10 11:44:292018-01-10 13:10:35Do You Need a Will in New Jersey? Do I Need a Probate Litigation Attorney? AskTheLawyers™ https://www.askthelawyers.com/wp-content/uploads/2018/05/Asset-2-300x40.png AskTheLawyers™2014-03-19 13:21:152018-11-30 09:28:23Do I Need a Probate Litigation Attorney? What Makes Contesting a Will in California Different Than Contesting a Trust? AskTheLawyers™ https://www.askthelawyers.com/wp-content/uploads/2018/05/Asset-2-300x40.png AskTheLawyers™2014-03-19 13:17:452019-01-28 16:31:24What Makes Contesting a Will in California Different Than Contesting a Trust? 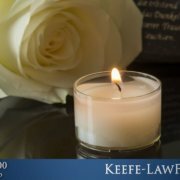 How Do I Know What Was Left to Me in a Will? Oakland Probate Litigation Lawyer Discusses Reading of the Will Despite what movies or television shows may depict, “reading of the will” rarely happens in California. As attorney Charles Triay explains in the following video, nowadays a will or trust is filed with the court and then copies of the document are mailed to those involved. AskTheLawyers™ https://www.askthelawyers.com/wp-content/uploads/2018/05/Asset-2-300x40.png AskTheLawyers™2014-03-19 13:16:032017-09-14 19:24:23How Do I Know What Was Left to Me in a Will? What Makes a Defective Will? 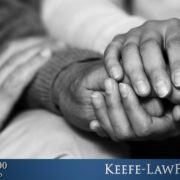 Attorneys That Handle Probate Litigation Cases in California What does it mean when a will is called defective? 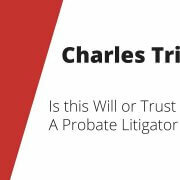 As probate litigation lawyer Charles Triay discusses in this video, there are a couple of issues that may make a will defective. This includes not signing or dating the will and using unclear language. AskTheLawyers™ https://www.askthelawyers.com/wp-content/uploads/2018/05/Asset-2-300x40.png AskTheLawyers™2014-03-19 13:15:062017-09-14 19:24:23What Makes a Defective Will? Where Do I File a Will or Trust Dispute in California? AskTheLawyers™ https://www.askthelawyers.com/wp-content/uploads/2018/05/Asset-2-300x40.png AskTheLawyers™2014-03-19 13:07:312017-09-14 19:24:23Where Do I File a Will or Trust Dispute in California? Are There Common Patterns in Will and Trust Cases? Probate Litigation Attorney Near Me For a will to be legal in California, it has be in writing regardless of what someone was told they would inherit. As attorney Charles Triay explains in this video, issues with inheritance are often the source of many probate litigation cases. AskTheLawyers™ https://www.askthelawyers.com/wp-content/uploads/2018/05/Asset-2-300x40.png AskTheLawyers™2014-03-19 13:03:462017-09-14 19:24:23Are There Common Patterns in Will and Trust Cases? Do Probate Litigation Cases Have Deadlines? Attorneys for Inheritance Disputes in California As with other civil cases, there are several important deadlines involved in probate litigation. In the following video, probate litigation attorney Charles Triay discusses some of the deadlines that may potentially affect these types of cases. AskTheLawyers™ https://www.askthelawyers.com/wp-content/uploads/2018/05/Asset-2-300x40.png AskTheLawyers™2014-03-19 12:58:482017-09-14 19:24:23Do Probate Litigation Cases Have Deadlines? Do I Have to Wait Until Litigation in Over to Receive My Inheritance? Locate a Probate Litigation Lawyer in California Typically during probate litigation, any inheritance is frozen until the legal proceedings conclude. 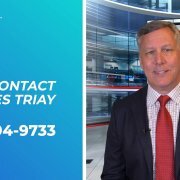 In this video, attorney Charles Triay explains why estates and trusts are frozen during litigation and what your best option may be if you find yourself involved in a defective will or trust case. AskTheLawyers™ https://www.askthelawyers.com/wp-content/uploads/2018/05/Asset-2-300x40.png AskTheLawyers™2014-03-19 12:01:222017-09-14 19:24:24Do I Have to Wait Until Litigation in Over to Receive My Inheritance? I Need a Probate Litigation Attorney Near Oakland Two common legal grounds that can be used to challenge estate planning documents include undue influence and lack of capacity. 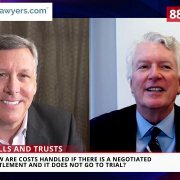 In this video, attorney Charlies Triay explains how undue influence and lack of capacity are often related in contested will cases.